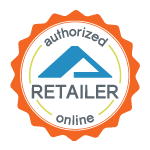 All Star Medical is an authorized retailer online for EZ Access. Call us at 615-730-9438 as we offer free home assessments for the aluminum modular ramp systems in the Middle Tennessee area. The PATHWAY® 3G Aluminum Modular Ramp System features multiple modular ramp configurations to fit unique entryway situations and offer multiple safety elements to make this the safest aluminum modular entryway mobility ramp in the industry. Safety is top priority with the PATHWAY® 3G Modular Ramp System. The PATHWAY® 3G Aluminum Modular Ramp System will not deteriorate from the outdoor elements and features a non-skid surface that maintains traction in any weather. The specifications for PATHWAY® 3G Aluminum Modular Ramp System vary depending on the configuration. This all-aluminum modular entryway mobility ramp is easy to install and will last much longer than wooden entryway mobility ramps of similar design.